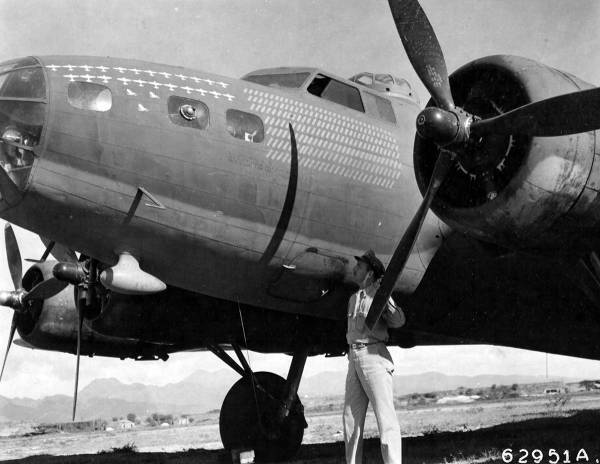 Delivered McChord 24/12/41; Assigned 7BG Java 15/1/42 with Francis Key; transferred 28BS/19BG Australia; transferred 30BS/43BG, then 63BS; over 200 missions; Written off 31/8/44. GUINEA PIG. The pilot was actually Frederick Key my grandfather. The original nickname for the plane was Ole Miss II. The original Ole Miss, a Curtis Robin, is in the National Air and Space museum. My grandfather and great uncle set an endurance record back in the 35 in that plane.